At 1151 on April 12, 1945, Ensign Cadet Mikio Sugata took off from Kushira Air Base as navigator/observer in a Type 97 Carrier Attack Bomber (Allied code name of Kate) carrying an 800-kg bomb. He was a member of the Kamikaze Special Attack Corps 2nd Gokō Shirasagi  Squadron from Himeji Naval Air Group. He died in a special (suicide) attack off Okinawa at the age of 21 . He was born in 1925 in Iwate Prefecture, attended Tōyō University in Tōkyō, and was a member of the 1st Class of the Navy's Flight Reserve Students (Hikō Yobi Seito). At my sortie, I will write a short letter. At a time when the war situation has become more and more critical to the highest degree, I have been selected as a Special Attack Corps member. This is nothing that surpasses this as a young man's long-cherished desire. I only will push forward. The other day I asked a comrade to send to you a little bit of money and a watch, so please accept them. - I have no private concern. - I have nothing with a woman. - I have no borrowed item or money. Mother, Older Brother, and Younger Sister, I only devote myself for the Empire. I am just overflowing with feelings to be a foundation for prosperity in the Empire. Mother, when you recover from your illness, take good care of your health. The letter comes from Matsugi (1971, 147-8). 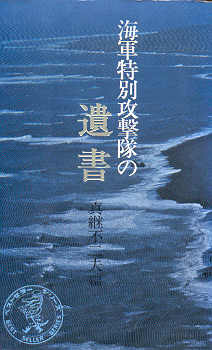 The biographical information in the first paragraph comes from Matsugi (1971, 147), Osuo (2005, 221), and Tokkōtai Senbotsusha (1990, 179). 1. The word Gokō means "protecting the Emperor." Shirasagi means white egret. Himeji Castle, which dates back to the 14th century, has the name of Shirasagi Castle. 2. Tokkōtai Senbotsusha (1990, 179) gives his year of birth as 1923, so Yoshida could have been 21 or 22 years of age at death. Other sources do not specify a birth date or provide his age at death. By using a mid-year birth date of July 1, his age at death is assumed to be 21.